Below is my list of Sweet 16 Party Ideas, most of which can be used either for parties held at home, or at a venue. When it comes to Sweet Sixteen party ideas there's often pressure to do something bigger and better than in previous years, but that doesn't mean you have to go crazy and spend a fortune like those spoilt brats on MTV's My Super Sweet 16! The thing they'll probably appreciate the most at this age, is their independence. Nothing kills a teen party faster than having parents around. So help them plan and prepare for a great party, then take yourself out of the equation and give them a bit of space. You can still be within easy reach—such as at a neighbours house or if the party's at a venue then a nearby restaurant—to check on them occasionally if you really need to. But you don't want to restrict the fun too much—it's important for you to trust them. Anyway, knowing you are fairly close will likely act as a deterrent to anything getting really out of hand. The best thing to do, is to lay down the ground rules and take any necessary precautions in advance. If you're having the party at home remember that loud music and dancing will probably be top of the list of Sweet 16 party ideas so inform the neighbours in advance so you don't get complaints about the noise in the middle of the party. Be clear which areas of the house are off limits, remove any alcohol, and move any fragile or valuable items to a room that you can lock. You may even want to be around at the beginning of the party to make sure no one brings in anything illegal like alcohol or cigarettes. A good way to check in on them without them feeling put out is to drop by half way through the party to deliver some extras supplies—perhaps some more food or birthday cakes. This gives you a reason to do a quick check that everything is OK without them feeling like you're intruding. For food you can just keep things simple like pizza, sliders, tacos, nachos etc— but remember to include some vegetarian options as it's around this age that teens start adopting their own eating habits. Also, make sure there's plenty of it— teenagers, especially the boys, can put away huge amounts of food—but still keep everything snack sized so they can pick throughout the party. When it comes to drinks lay on a selection of alcohol-free 'mocktails' so they can feel a little more grown up. 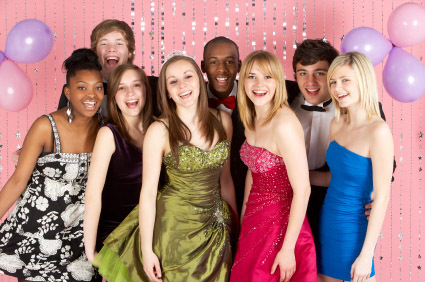 If you don't find any Sweet 16 party ideas you like from the list below, be sure to check out the Party Themes A-Z incase something from a different category catches your eye. Most party themes can be adapted to suit different ages with just a little tweaking. If you have some good Sweet Sixteen Party Ideas (or you've tried one of my ideas from the list above) share details with other party-ideas-by-a-pro.com visitors. Use the form below to submit your Sweet Sixteen party ideas.